CYPHER LEARNING announced the launch of the first EDTECH Center for NEO LMS clients in the Philippines. 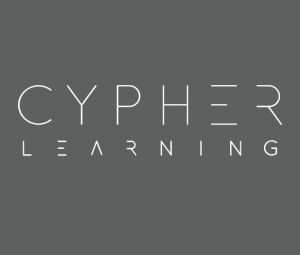 CYPHER LEARNING, the company that specializes in providing e-learning platforms, announced the launch of the first EDTECH Center for NEO LMS clients. NEO is a product of CYPHER LEARNING and the center will be the leading customer care and support center for NEO customers in the Philippines. The center will provide phone support and short demo tutorials for people who are interested in using NEO. Opening on November 15, 2016, the center will guide users through using different features, creating their first class, enrolling students, using gamification, submitting assignments, assist with lost passwords, and more. NEO is an extensive cloud-based solution that incorporates all the features teachers and students need, such as an intuitive user interface, support for classes, built-in content authoring tool, mobile apps, gamification, rules engine, collaboration tools and support. CEO and Founder Graham Glass said: ”We believe it’s important to offer the best support when people start using our product to get the most out of it. The EDTECH Center is an innovative and unique concept on the market that differentiates NEO from its competitors. We plan to launch more EDTECH Centers soon to serve customers from all over the world“. CYPHER LEARNING is an e-learning company based in San Francisco that has two products: NEO an LMS for schools and universities and MATRIX, an LMS for businesses. NEO is a world class, award winning LMS for use by schools and universities. The platform is known for its easy-to-use and beautiful user interface, comprehensive set of innovative features, and pricing that provides great value for money. NEO and MATRIX are used by over 20,000 organizations, supports 40+ languages, have millions of users, and have won numerous awards. More information is available here. The EDTECH Center is an innovative and unique concept on the market that differentiates NEO from its competitors.